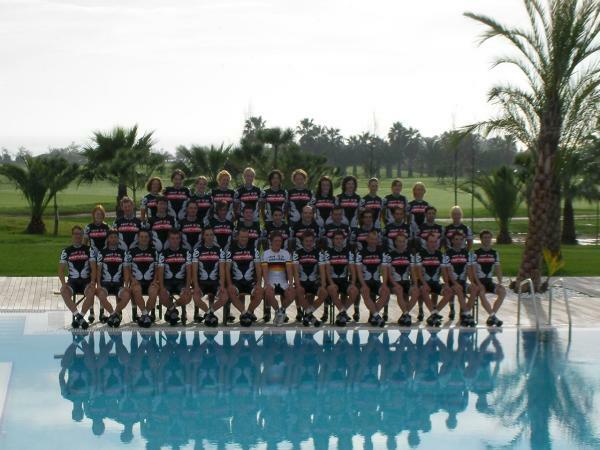 Team Cervelo launch: Road races out, swimming pool in. Thor Hushovd and Heinrich Haussler are hoping for a big win in the 100 and 200 meter backstroke and butterfly while Carlos Sastre is to target in his training for the 1500 meter freestyle. Cervélo co-founders Phil White and Gerard Vroomen were the first to reveal their bold new aquatic ambitions for 2010 during the presentation. “It’s been an unbelievable first year. Some people thought we wouldn’t be back for a second year but we proved we can make the difficult first step on a long journey. And now we’re leaving cycling to take our success into deeper waters — that’s exciting.” said Vroomen. « Riccardo Ricco hits back at Cavendish. The parasite speaks.